A while ago, I decided I wanted to know more about my roots. My DNA-roots. My heritage roots. 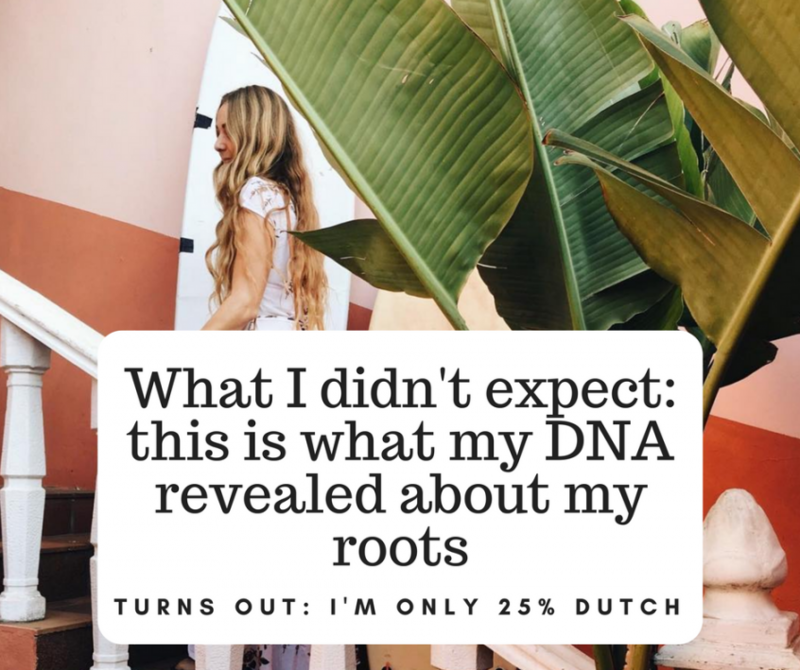 Was I mostly Dutch or did I have a different heritage? I’ve always dreamed of having exotic roots, but figured that wouldn’t be the case with my blonde hair and relatively white skin. But then again… when I tan, my skin turns into olive colored skin. And my eyes are dark green. So could there be something mysterious in my DNA after all? An heritage test is done via saliva. No blood needed (pfew). The saliva is send to a lab in, for example, Texas and in your DNA they can see the ethnic groups and the geographical regions where you originally come from. Pretty awesome right? After sending my saliva to Texas I waited patiently. The outcome? Scandinavian! What! I’ve been asked a million times if I’m from Scandinavia, but assumed people ask because I’m blonde. But I actually have Scandinavian roots! So no tropical genes, but I think this is pretty cool as well. I love that I’ve discovered something about myself that I didn’t know before. Why do a DNA test? There’s no such thing as a pure race. There was no way on earth that I would’ve been 100% Dutch. And although it can be fun to really love the country you grew up in, borders are still something we – as humans – have created. We are all citizens from the world. Although I have always identified as Dutch, because I grew up in The Netherlands, my genes reveal that I’m more than just Dutch. Moreover, I’m only 25,3% North and West European (The Netherlands, France & Germany). Maybe you remember this video circulating the internet. 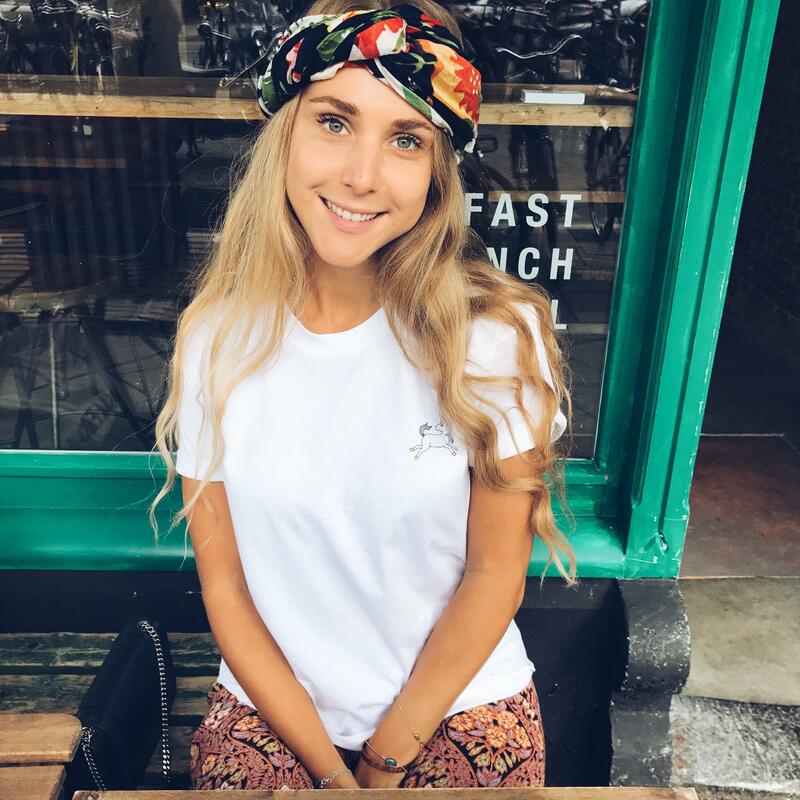 People assume they are 100% Icelandic, English or Kurdish. They are asked which country they dislike. The lady that says she hates Turkey, is actually part Turkish. The guy that thought he was 100% Icelandic had roots in Eastern Europe. The guy that disliked Germans turned out to be 5% German. Food for thought. Ps: I didn’t do the test with this organization. Important note: please investigate what they do with your DNA before you do a DNA-test. That’s what I did as well and I decided to do the test anyway. But always read before you make a decision.